Accidents happen all the time. Teeth get knocked out, fillings or crowns fall out. But when dealing with any type of discomfort, pain or injury to your gums or teeth, it is important to take care of the issue immediately. Be sure to contact us with any dental issues or concerns you may be having. If left ignored, you are potentially putting yourself at risk of further damage that may need more extensive care and treatment later on. 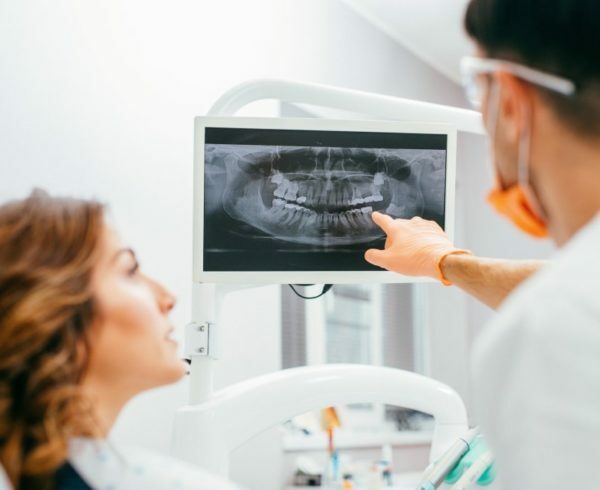 Below, is a brief guide to help you cope with some of the most common dental issues as you make your way to the dental office. As always, be sure to consult your dentist first about any dental issues you are having. Toothaches: If you notice any discomfort or sharp pain from your teeth, be sure to try and clean it as best you could first. Be sure to floss and rinse your mouth thoroughly with warm water and see if the pain goes away. Apply a warm washcloth on the outside of your cheek if you notice any swelling. If you do notice that your mouth or gums around the tooth is swollen, or if you have a fever then you may have an affected tooth that needs immediate attention. Be sure to see us immediately if any of these symptoms occur. 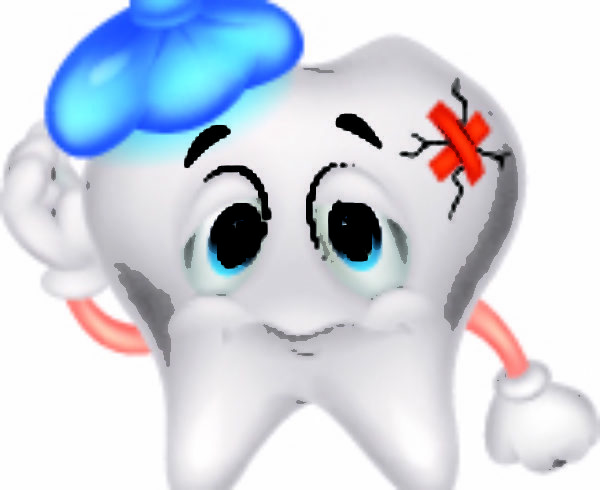 Your dentist can help recover your tooth and relieve any pain or discomfort you may have so be sure not to wait any longer than 2 days to see your dentist. Tooth Loss: Loosing a tooth for a child is normal and happens all the time, however if the tooth was lost during an accident, be sure to see us immediately. Your dentist will be able to determine how to restore or salvage your lost tooth. If you are able to retrieve your lost tooth, be sure to hold it by the crown (not the root) and rinse it off thoroughly with warm water without scrubbing. Then if you are able, try and place the tooth back in the place or put it in milk until you are able to see your dentist. Lost Crown: Loosing a crown can be very painful because it exposes the tissue of your tooth to air and temperature causing extreme amounts of sensitivity. If you loose a crown, be sure to contact the dentist immediately and if you are able, bring the crown with you to the dentist. To help you relieve any pain or discomfort as you make your way to the dentist, use a cotton ball and apply clove oil which can be found at your local drug store to the sensitive area. If you have the crown with you, you can also apply it back on your tooth temporarily, as you make your way to your dentist. Before doing so, be sure to rinse the crown thoroughly first. You can then apply the crown back on your tooth by adding dental cement, tooth paste, or denture adhesive to the inside of the crown. 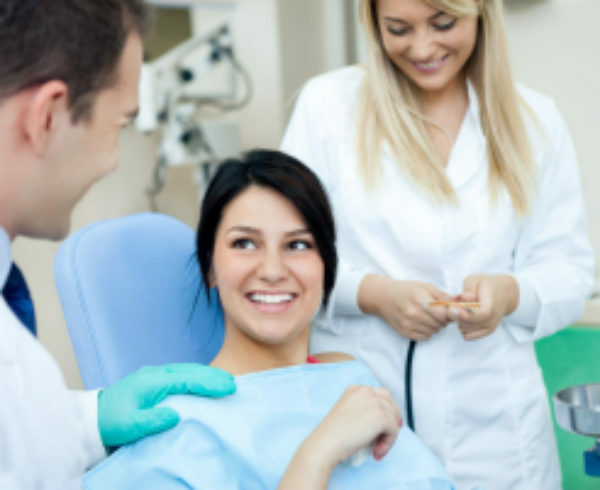 Our dentist only wants to help relieve any pain or discomfort you may have or help restore your smile, so be sure to contact us first before handling any dental issues on your own.